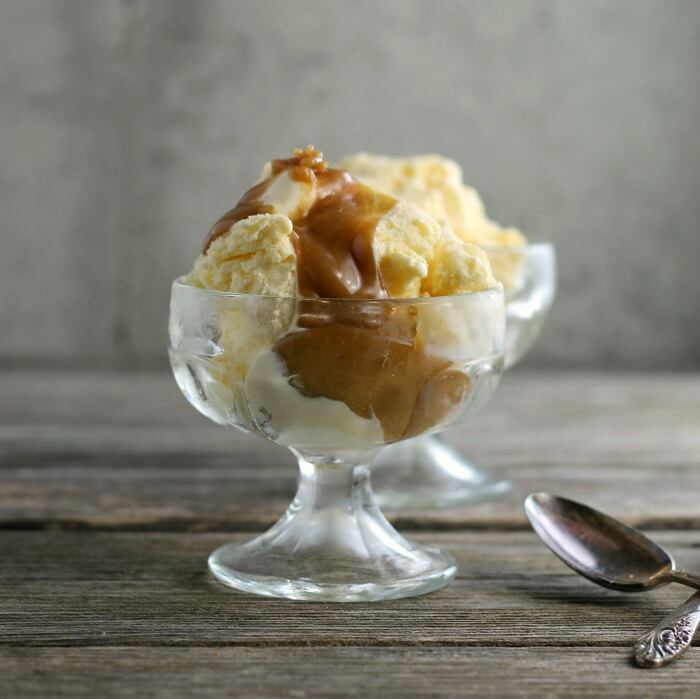 Peanut butter ice cream topping takes only minutes to make and you will probably have all the ingredients in your kitchen. 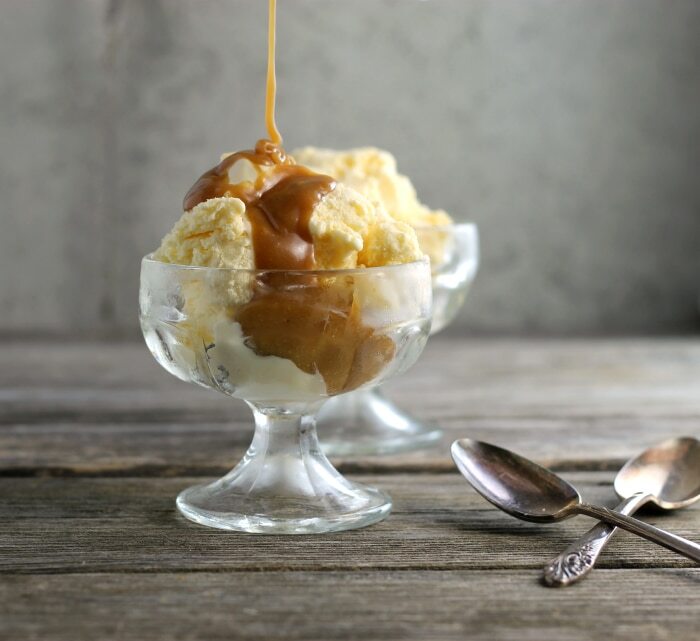 Peanut butter ice cream topping is going on the menu a lot this summer, Yeah, with the warmer weather coming up ice cream is a dessert that I like to serve to at the end of lunch or dinner. I mean who doesn’t love ice cream, right? My sister gave me the recipe for peanut butter ice cream topping a few years ago. The recipe has been sitting in my recipe box ever since she gave it to me. For some reason, Mike does not like peanut butter. No, I am not kidding, so I tend to stay away from recipes that include it in the ingredients. The other night I had a craving for peanut butter and this recipe came to mind. My daughter, grandchildren, and son were at our house for dinner. They all love peanut butter as much as I do. So I whipped up a batch. Yum! The peanut butter ice cream topping was rich and creamy. Like a peanut butter caramel. As I mentioned this is a super simple recipe to make. Another thing, that is nice about it is made in the microwave, it’s ready in minutes. In a microwave safe bowl, you combine brown sugar, light corn syrup, and salted butter and bring it to a boil. Once that is done you stir in creamy peanut butter until smooth. Then you stir in some evaporated milk and you are done. Serve it warm over your favorite ice cream. It is to die for, so yummy! In a microwave safe bowl combine the brown sugar, light corn syrup, and butter. Microwave for 3 to 4 minutes until it starts boiling. You will want to remove the bowl from the microwave to stir the ingredients two times during this process. Once the ingredients are boiling remove from the microwave and stir in the peanut butter until the topping is smooth. Once the peanut butter is stirred in add the evaporated milk and stir in until combined. 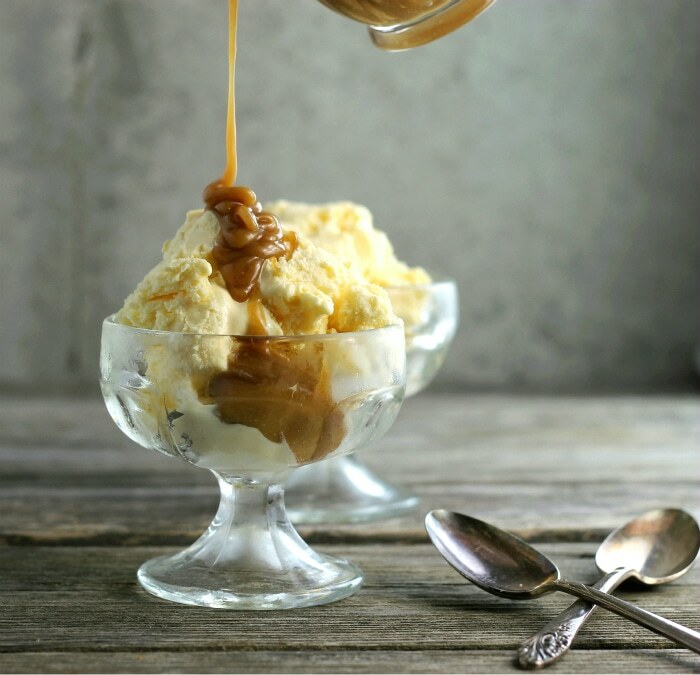 Serve the peanut butter ice cream topping warm over your favorite ice cream. I love this idea! It’s looks so tasty and you can put it on so many ice cream flavors. Perfect for summer. What a yummy topping! I’d love some vanilla ice cream with this and a little fudge sauce, too!!! looks absolutely delicious Dawn !! This looks so good! My husband LOVES peanut butter and I know he will just swoon over this sauce! 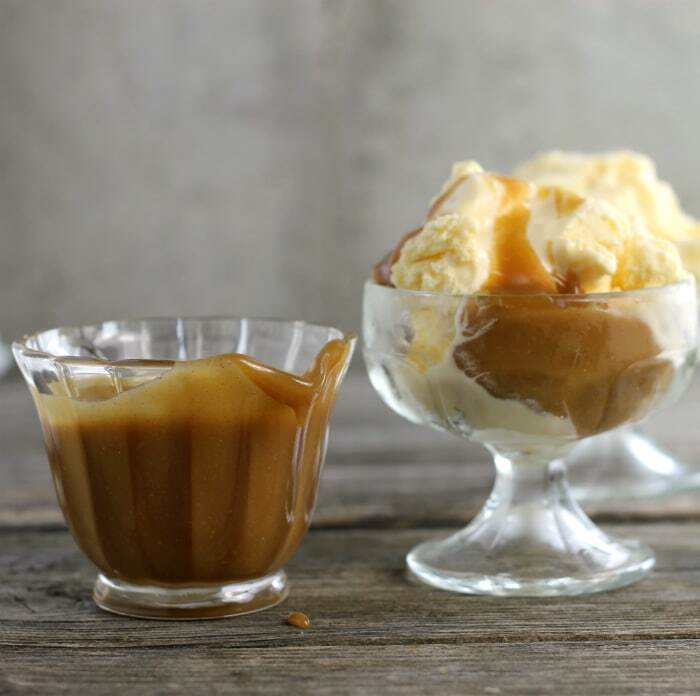 Oh Dwan, my husband will love this ice cream topping…as he is crazy about peanut butter…thanks for the recipe!